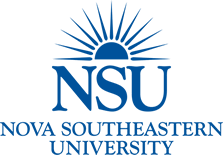 Nova Southeastern University serves the South Florida area with a modern, regional campus in Miami-Kendall, located near the Florida Turnpike and Kendall Drive. The Miami campus extends university programs and resources to your community by offering convenient day, evening, weekend, and online classes. With degree programs in business, counseling, and nursing, as well as online offerings in computer sciences, education, and more, you can advance your career with a degree from one of the largest not-for-profit universities in Florida.At our campus, you’ll receive the best of both worlds—personalized attention in smaller classes, plus access to the student resources and benefits from our main campus in Fort Lauderdale.